The photo makes it look quite blue but in normal light it looks a VERY light silvery silver. The affinity series Stratocaster is crafted from a solid alder body with a maple neck and rosewood fingerboard, delivering powerfully bright, clear tones with beefy mids and thick lows. While the alder tonewood provides strong, full-bodied sounds, the maple and rosewood combination opens up the guitar’s midrange and gives the highs plenty of warmth and sparkle. Featuring a set of single-coil strat pickups and a humbucker at the bridge, the Squier produces powerfully versatile tones that would keep up most Fender Stratocasters. Its 6-saddle tremolo bridge and die-cast tuners ensure the guitar stays in-tune, while providing the ability to create classic pitch bends. Volume and tone controls provide control over the guitars pickups, while the 5 way selector offers a range of powerful tones, creating a very versatile guitar. The Affinity Series Stratocaster has a proud heritage and has always been very popular due to its well known format. The contoured solid alder body is the same world-renowned style that fuelled the fires of Hendrix, Clapton, SRV, and thousands more. 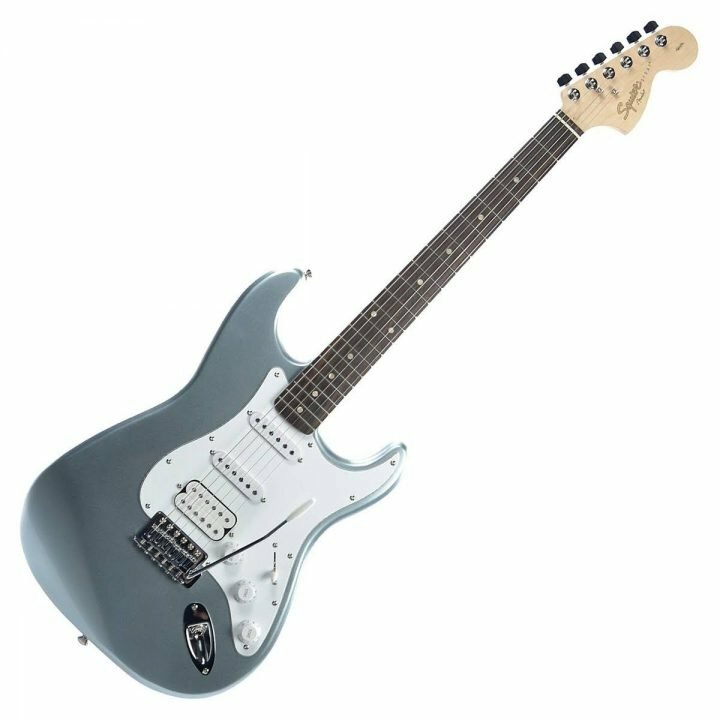 The Squier Affinity offers supreme playability as well as a great tone. The simplicity of this guitar allows it to be versatile with all types of players and styles.